Are the Feds Secretly Preppers? Patterns of volcano ash fallout from past mega eruptions. Although there are plenty of people who are concerned that the Feds are indeed secretly preparing for future problems (ie, not in the way we might wish and hope for), maybe we should also be pleased to learn of such things. Is it possible the Feds have both a bug-out plan and also a distant safe retreat for us all? Or, at least, for some lucky souls among us? Here’s an interesting article which, on a very thin level of evidence, suggests that maybe the Feds have made – or are making – or are trying to make – plans for a mass exodus of Americans in the event of a national disaster such as an eruption of the mega-volcano in Yellowstone (and probably in the case of other major disasters too). According to the article and its sources, in such a case, the US might send (ie, fly) an unknown number of millions of us to South Africa, or maybe Brazil, Argentina, or Australia (can I put my name down for Australia, please). But, really and realistically, how practical is this? First, do you remember the Iceland volcano eruption of a few years ago, and how it disrupted air traffic for weeks? 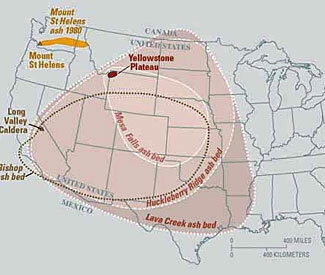 A mega-volcano eruption in the US may cause similar problems in the air. Or the ash (and possibly lava too) may impact on runways and ground operations, making it impossible for planes to land, spend time on the ground, and take-off again. How would the millions of people affected by the eruption get to staging points and to operating international airports? But, let’s ignore that for now. Let’s simply consider how long it would take to fly 10 million people to South Africa. For the sake of argument, let’s say people fly on 500 seater Airbus A380s, the largest passenger planes currently flying. That means we need 20,000 flights. At the time of writing, a total of 128 A380s have been delivered by Airbus, none of which are owned/operated by US airlines. But let’s say the US can charter half of these – 64 planes. That means each plane has to do 312 roundtrips between the US and South Africa. In other words, it would take over a year to evacuate all 10 million people. Okay, so there’s no reason why the US couldn’t also use 400 seater 747s and 300 seater 777s as well. Could it possibly cobble together a fleet of 250 planes, averaging 400 seats each? We’re not sure about that, but let’s say it could be done. That means each roundtrip would see 100,000 people moved out of the US – assuming perhaps 36 hour roundtrip durations, that would mean in five or six months the 10 million people had been successfully evacuated. But, what if it is 20 million or 200 million? That means one year, or ten years. And, ummm, what will people do while patiently waiting weeks, months or years for their turn to be evacuated? Where will they live? What will they eat? That also begs the question – if it takes six months or six years to evacuate a person, and if there will be major infrastructure and support problems where the people are being relocated, is flying them half-way around the world the best way to handle the disruption? The article in the South African newspaper says we would have ‘a few weeks or days’ of warning prior to an eruption. 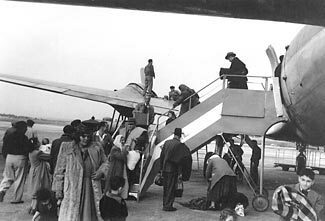 But, with an evacuation rate of 100,000 per day – and an uncertain amount of time to spool up the evacuation process to that rate, combined with the unwillingness of people to suddenly abandon their lives and homes and leave, perhaps forever, with no more than one or two suitcases each, how many people could actually be evacuated in those few days or weeks? A million? That’s probably only a very small percentage of the people who would be impacted by the Yellowstone volcano coming cataclysmically to life. So just how impactful and helpful might any such evacuation program be? Is this the best the government can come up with – evacuating as many of us as possible to South Africa? And, oh yes, South Africa doesn’t want us, no matter how much our government is offering to bribe them ($10 billion a year just to have the contingency open!) for fear that their country would be overrun by white people. Hmmm – why is it only offensive outrageous racism when white people say that about blacks, but never vice versa? There are 45 million black/colored South Africans at present – just how many white Americans are too many? One also wonders, based on the objection of being inundated by too many white folk, whether or not such relocation is being proposed as a temporary or permanent measure. Still it is nice to think that maybe the government is planning to fly us to some exotic location rather than intern us in a FEMA camp! Perhaps the most interesting thing in the article is the map image at the top (we have a small size version of it at the top of our article, too). It is interesting to see how the ash from past eruptions has spread across the country – and when you think that radioactivity would follow a similar dispersion/fallout path (assuming similar release locations, of course) it is clear that it is much better to be west rather than east of any potential events. Oh – and as for the government being there to save us after a national disaster? And should you keep your passport current, just in case of a sudden unexpected relocation to some far away foreign country? Call us cynical if you must, but we think you’d be well advised not to rely on this ‘deus ex machina’ coming along to save you. Continue to plan and prepare to be self-reliant is by far the wiser choice. The redder the state, the happier its people. The bluer the state, the less happy. If you’re considering relocation, wouldn’t it be preferable to locate to where the people are more positive, optimistic, and happy, than somewhere with dour, negative, unhappy people? Okay, so you might have other issues that you rank higher than a vague ‘happiness’ factor, but in the mythical scenario where all other things are equal, it is something to consider, don’t you think? A happy community probably has less ‘real’ crime, more complete employment, better services, more honest elected officials, and so on. If you do agree that happiness is an interesting thing to understand, that rather begs the question ‘so how do you measure happiness’? The easy answer would seem to be ‘ask people’ but in this modern age, why use an easy approach when there’s a ‘better’ high tech approach? So a team of researchers at the University of Vermont came up with a list of more than 10,000 words, each one of which it scored as implying happiness or unhappiness, then worked through millions of Twitter tweets, sorted by location, to calculate the relative levels of happiness, as expressed in tweets. Interestingly, some poor choices for prepper retreats scored highly on the happiness scale (and vice versa). The happiest five cities were first Napa CA, followed by Idaho Falls ID, Longmont CO, Mission Viejo/Lake Forest/San Clemente CA, and Simi Valley CA. Other featured cities in the ‘American Redoubt’ included Spokane WA (scoring at 11th place), Nampa ID (41st) and Cour d’Alene ID (109th). The least happy city (of the 373 evaluated) was Beaumont TX, followed by Albany GA, Texas City TX, Shreveport LA and Monroe LA. Of course, no prepper would want to move to a city, anyway. So let’s also look at states. The five happiest states were Hawaii in first place, followed by Maine, Nevada, Utah and Vermont. 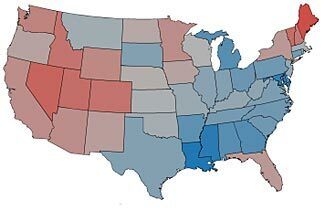 The unhappiest state was Louisiana, followed by Mississippi, Maryland, Delaware and Georgia. The three core redoubt states scored 7th for Idaho, 10th for Wyoming, and 26th for Montana. To be fair, there’s not a huge difference in score as between the happiest and least happy states. Here’s an interesting article that summarizes the findings of the team and also shows international happiness scores, too. Internationally, based on an OECD survey, the happiest five countries are Switzerland (happiest) followed by Norway, Iceland, Sweden and Denmark. The five unhappiest are Hungary (least happy) followed by Portugal, Greece, Turkey and Estonia. The US placed slightly better than average. Beware the lure of foreign countries as a bug-out location. In theory, a prepper would be most comfortable in a more libertarian environment. Less government participation in people’s lives implies less to go wrong in the case of some sort of societal collapse, and a more libertarian environment also suggests it would be easier for preppers to quietly prep as they see fit, free of interference or constraint. Here’s an article on Britain’s Daily Telegraph website that claims to be a guide to the world’s most libertarian countries. But we have to say we find the countries on the list surprising, and the tests used to determine the most libertarian countries simplistic and inappropriate. Are we about to suddenly move to North Korea (one of the recommended countries) – or Canada, which is, unbelievably, also on the list? Not in a million years. If anything, this article’s selections reads like a list of countries to avoid at all costs. Maybe the US isn’t such a bad place to live in after all. In all seriousness, we are all of course most familiar with our own country’s shortcomings and challenges, because we live here. The grass on the other side can indeed seem greener. But speaking as one who has lived and worked in other countries, I have to say that while I see our own problems and challenges vividly, I see at least as many everywhere else in the world, too. (a) Drug Policies : Portugal, Czech Republic, North Korea. (e) Corruption : Denmark, New Zealand. Avoid Russia and Somalia. The cost of living is a relevant factor to consider when choosing a retreat location. Whether you’re looking at a retreat in a nearby state, or a far-away country, one of the issues to consider is how much the cost of living will be. For sure, WTSHTF, there will be a massive rewrite of the cost of living equation, with unpredictable and uncertain results into a Level 2 and/or 3 situation. But if you’re considering spending time at your retreat prior to a Level 2 or 3 situation, then the local cost of living is helpful to understand. In particular, an appreciable number of preppers seek to find a dual-purpose location which is suitable to live at, permanently, and also to stay at as a retreat if things go bad. There might also be a (very weak) correlation between cost of living and the cost of creating a retreat. Here’s an interesting list of the 30 cheapest cities in the entire world to live in, as of April 2013 (Note that these indexes are regularly updated, so depending on when you’re visiting, you might want to search out the latest list from the site’s home page). And, for its twin, here’s a list of the 30 most expensive cities to live in. The website uses a detailed methodology to create these lists, but there’s one important thing to appreciate. It calculates costs to create an equivalent cost to live at a reasonable western standard, rather than the costs to live like a local, in whatever sort of average lifestyle locals have. That is presumably why Luanda, Angola scores so high, and probably also why six US cities appear in the list of the 30 cheapest cities. Of course, if you are considering a move anywhere outside of the US, you’ll want to be able to accept a lifestyle that is perhaps somewhere in the middle, a compromise between how the locals live and how you’d prefer to live in a perfect world, and for sure, in an emergency situation, you’ll need to be able to live completely like a local, because all your favorite imported luxuries will no longer be available. In addition to the 60 cities listed as either most expensive or least expensive, you can see ratings for their entire database of 780 locations, all around the US and all around the world, here. Here’s their list of all 50 US states, ranked from lowest cost of living (a bit confusing, the higher the score, the lower the cost) to the highest. 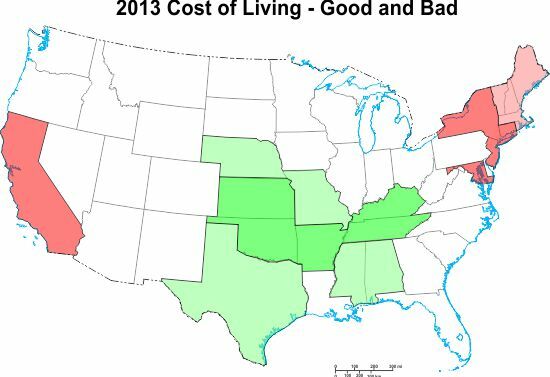 We also show the US average (443) cost of living to give a relative measure of better and worse states than average. Interestingly (perhaps) using this company’s ranking methodology, the first of the American redoubt states doesn’t appear until you reach the fifteenth place (ID), and the two partial states in the redoubt (OR and WA) are 11th and 12th worst states, no doubt due to the big city and liberal influences in the western part of these two states. Here’s a map showing the top five states in strong green, the next five states in pale green, the worst five states in strong red and the following five states in light red (we ignore HI and AK). There’s no real surprise to see where the red ends up, but the green might be more of a surprise. The local cost of living is of course only one factor to consider, and also bear in mind that these are state-wide averages, so can vary greatly across a state. As an example of variations within a state, Texas scored very positively with a state-wide rating of 650, but there is quite a spread between individual cities, ranging from, eg, Houston at 661, El Paso at 634, Dallas at 610, and Austin at 583, but Amarillo gets a very different score, at 300. The results we’ve been discussing here are based on one set of assumptions, tailored to help companies adjust compensation packages based on where they relocate an employee. 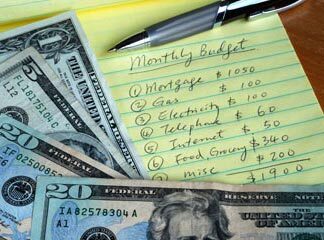 There are many other ratings for cost of living, using a mix of the same and perhaps different criteria, and with different weightings for different factors, all giving slightly different sets of results. For example, here’s another excellent set of ratings, also from April 2013. There are both similarities and also some differences between this other rating system (MERIC) and the first (Xpatulator). We summarize the best and worst states as per Xpatulator and show their comparable ratings with MERIC in this following table. We rate 1 as the cheapest state and 48 as the most expensive (we again ignore HI and AK). The results are similar, but not identical. Both agree on the same ten ‘worst’ states, in slightly different order, but there are slightly greater differences in the best ten list, with only seven states appearing in both top ten lists. One notable difference is Idaho comes in at number 4 in the MERIC ranking, but only made 15 in the Xpatulator ranking series we first looked at. The best state for the MERIC ranking series is Oklahoma (scores as 4 with Xpatulator) and Tennessee for Xpatulator (scores 2 with MERIC). There are plenty of other rating series too, but even ‘just’ these two sets of data give a reasonable consistent picture already – maybe more rating series start to add confusion rather than clarity! There are major differences in the cost of living between the various states in the US, and of course, even greater differences when you start to look internationally, too. While this is only one of the very many factors you need to consider in choosing a location for your retreat, it is a valid consideration to bear in mind. The Xpatulator website has information on all US states, many US cities, plus a large number of other cities, regions and countries around the world that gives you one perspective on how the various costs are made up to live in different locations. Another good rating series is the MERIC series. If you are considering off-shore locations, the calculated cost of living is an even smaller part of your total evaluation, and you also need to realize that many of the apparently more desirable countries and locations have what can be politely termed ‘developing’ economies, meaning that these numbers are subject to potentially great change with little warning. The Only Place That Will Survive 12/21/2012? 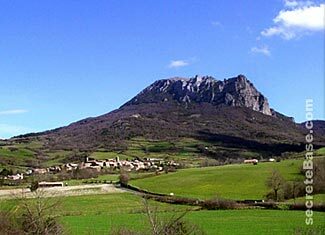 Bugarach, France; pop 176 and its mountain – the only safe place on 12/21/12? Are you worried about the Mayan prophecy about the world coming to an end on 21 December, 2012? For the record, while we worry about and prepare for many things, this is one thing we’re not at all concerned about, but if it is a worry of yours, then, and observing the Prepper Code of Politeness, we’ll pass this bit of information on to you without (too much) comment. It seems that some ‘experts’ on the topic of the Mayan end-of-the-world meme have established that there is one place on the planet that will be safe and its residents saved. This is the tiny French town of Bugarach, in the south-east of France and in its mountainous Pyrenees region. This is because aliens will emerge from a nearby 4,040 ft high mountain in their space ships and save the locals. So, if this is your ‘thing’, you better rush over to Bugarach in the short while remaining, where the crush of people is such that accommodation is now costing as much as £1200 ($1900) a night, a bottle of special local spring water can cost €15 ($19.50) and pieces of rock from the ‘mysterious’ mountain are selling for $55 an ounce. More details here and here. And if you’re really interested, here’s a NY Times article from 2011 that talks about the area a bit more dispassionately, and an article in French that talks about it more sensationally. How Practical Is Traveling to an International Bug-Out Retreat? International bug-out locations may be tempting, but getting there in an emergency may be too problematic to make them practical. The whole idea of a retreat is to get away from the worst of any problem situation and to go to a place, away from the problem, where you can hope to live a safe, satisfactory and sustainable life until the world as we know it returns back to normal. Usually people confine their thoughts for retreats to locations within a day or (at the most) two drive of their main residence. But, on the basis of ‘if some distance is good, maybe more distance is even better’ why not look further afield? And, in particular, because some problems will be confined to specific regions or political/social zones, why not set up a retreat very far away, and in a totally different region and political/social system – in a foreign country? As part of our ongoing series on international retreats, we look in this article on the topic of traveling to your international retreat – ie, bugging out, particularly when TSHTF. We’ve written several times on the topic of traveling to your retreat when you sense the onset of a Level 2 or 3 situation, but primarily in the context of traveling only a short distance, domestically. Now we consider traveling longer distances, internationally. Many people worry about the possibility of encountering difficulties when moving to their retreat, and generally people limit how far away they locate their retreat so as to make it less challenging to get to in troubled times. When you start thinking about traveling to an international location, clearly these difficulties magnify greatly. 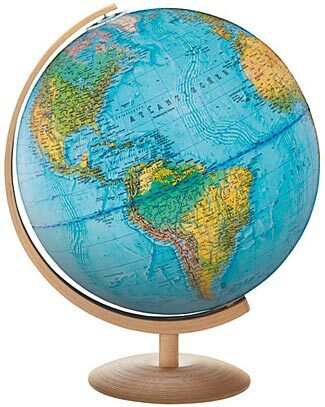 Assuming you’re not simply considering Canada or Mexico, then pretty much anywhere you might choose to relocate to requires either a plane ride or a boat trip, and certainly in the case of flying, would require you to travel on a commercial jet service because any affordable type of light airplane you could own yourself would not have nearly the range needed. The thought of having to rely on an airline, and a regular ordinary scheduled flight, as a means to get to our bug-out location makes us very uncomfortable. There are several reasons why we don’t like this arrangement, starting off with the fact we don’t like needing to rely on people and things totally outside of our control, a dislike made greater by the realization that in an EMP or solar storm event, planes will be some of the first things to be disabled. There are two more reasons worthy of mention too. The first is cost. Anywhere international is by definition going to cost more money to fly to, because it is further away. This cost differential is made even worse because international flights can be less competitive than domestic flights. Furthermore, ticket costs for international travel are more directly related to how far in advance you buy your tickets. That is somewhat the case for buying domestic tickets too, although not as much these days as was the case before. For an international ticket, you’ll usually find the cheapest fares require a 21 day (or sometimes longer) advance purchase, and if you are buying tickets within a week of when you want to travel, you could be paying two, three or four times more money. If you are within three days of travel, expect the fares to go even higher again. Let me ask you this – how often do you expect to have more than three weeks clear advance warning of a Level 2/3 situation occurring? Usually, by their very nature, such things are completely unexpected. The second issue is availability. These days, flights operate with a greater percentage of passengers on them than ever before. A couple of decades ago, flights averaged about a 65% load factor – in other words, one seat in every three was empty, and, if needed, a flight could take half as many people again as they typically would. This gave a good amount of ‘surge capacity’ – if one flight was cancelled, then the offloaded passengers could be quickly loaded onto other flights, for example, and at peak travel times (eg Thanksgiving) it was still possible to get seats on flights, even when booking last-minute. But these days, flights often operate with 80% – 90% loads. That gives flights much less ability to accept additional passengers, and some popular international routes are often close to full on every flight. A single cancelled flight can disrupt travel patterns for days, and if you want to travel at peak times (eg around Christmas) you might find that if you haven’t booked your flights two or more months in advance, there are no seats to be found for a week or more either side of your preferred travel dates. Let me ask you this – how comfortable would you feel if, WTSHTF, you had to wait a week to get a seat on a flight out of where you live and on to your retreat? Will the flights still even be operating a week later? One of the things we conclude about bugging out to a domestic retreat is that you probably have a several day head-start on the large mass of evacuees from cities when a Level 2/3 event occurs. Even if there is a small immediate growth in people bugging out (ie other far-sighted prepared people such as yourself) it will be some days before gridlock – and panic – sets in on the roads, and hopefully you’ll be well and truly at your retreat long before that happens. But what about bugging out internationally? Instead of simply driving somewhere on freeways that can easily accept twice the normal/average amount of vehicles, you are needing to squeeze onto flights that are already at close to capacity. Instead of an additional capacity on freeways for maybe 50,000 – 500,000 extra people to travel out of a city each day, you’re instead on an air route that might have excess capacity of only 50 – 500 people a day. We also expect that international travelers will be quicker to respond to ‘the gathering storm’ of any adverse event. It will be harder to ‘beat the rush’ and the rush, when it happens, won’t just mean very very slow travel; it will mean days at an airport with no movement away from ‘Ground Zero’ of whatever problem you’re seeking to avoid at all. Meanwhile, unless you’re an ultra-frequent flier paying full fare for first class travel, you’ll regularly be finding new people arriving at the airport and being placed ahead of you on the waiting list, with higher priority access to flights based on their elite frequent flier status and/or the higher level fare they can afford to pay. Making it worse, this all assumes that air travel schedules remain in place and unaffected by whatever the problem is that may be developing. Air travel is an intensely infrastructure-reliant means of transportation, and when flying by commercial carrier, you are unable to influence any of the dependencies your flight is based upon. Will jet fuel be available? Will planes be able to fly in and out of your airport? Will air traffic control systems be operable? Will the ground crew and air crew all report for duty? Will the planes be commandeered by the authorities and diverted for other ‘essential’ purposes? Will the airlines themselves redirect their flights and planes to serve other markets as a result of whatever the event is that is causing your need to bug out? And so on. Don’t forget, as mentioned above, the fact that if the Level 2/3 situation comes about as a result of an EMP attack or massive solar storm, then the avionics on planes and in their engines will likely be fried and many of the planes themselves will be inoperative. Plus, a week after TSHTF, maybe the country your bug-out location is in has altered its immigration policies to avoid a flood of refugees, and you might find yourself turned away at the border, once you do manage to get there. Some people say they’ll survive in place as long as they can and only bug out to their retreat when things are truly bad and after the ‘first wave’ of evacuees has passed. We’ve never felt this to be a good strategy, but depending on where you live and where your retreat is located, it might be feasible to consider it in some cases. Maybe your bug-out will involve flying by light plane somewhere, or traveling by boat – that way, when you do travel to your retreat, you can do so without exposing yourself on the regular roads, and without relying on the roads remaining open and freely passable. But if you’re bugging out internationally, our guess is that the ability to fly out of the US – and into the other country – is something that will get more and more difficult with the passing of time. So, clearly a bug-out strategy to another country requires you to leave at the first sign of trouble. It is no big deal to risk false alarms and to bug out possibly unnecessarily, when a domestic bug-out simply sees you and your family piling into your pickup truck and driving 500 – 1000 miles. You can turn around at any time and return home and only be out the cost of the gas, and maybe you’ve had to ‘pull a sickie’ and take a day or two off work. But other than that, a domestic bug-out is something you can undo at pretty much any time with a minimum of fuss or cost. You simply do a U-turn and start driving back again. This is good, and encourages you to ‘head for the hills’ at the first sign of trouble (which is also good). But if your bug-out involves a 12 hour flight to a foreign country, things are not quite so simple, and neither is the cost quite so trivial. There’s nowhere you could fly at short notice for less than $1000 per person, and in many cases you could find yourself paying $2,000 or more per person to travel. First class tickets can go the high side of $10,000 per person. In other words, for two of you, you need to anticipate that a short notice bug-out on your part might cost as much as $5,000 and perhaps much more, and if you are mistaken, you’ll be out of the country for at least a couple of days and potentially much longer. That surely discourages you from getting out of Dodge at the first sign of any trouble, doesn’t it! And it adds a huge cost penalty any time you unnecessarily evacuate only to then come straight back home again. Wherever your retreat is, you’re going to want to visit it at least once a year, just to make sure it remains in good functional order and condition, and to remain somewhat familiar with the retreat and living conditions there. Even if your retreat is more than 500 miles away domestically, you can still go there, spend a night, and come back in little more than a single weekend, and with no more cost than a few tanks full of gas. But heading to a retreat somewhere in the southern hemisphere or Asia – that’s a very different issue entirely from both a time and cost point of view. It is unlikely you’ll be able to visit so often, and you’ll be less familiar with everything – your retreat itself, and the society/country in which it is based – if/when you have to bug out for real. You’ll be much more an obvious outsider and foreigner and much more vulnerable to local scams and corruption than would be the case if your retreat was merely in a nearby state, and still in the US. Flying is not the only way you can get to far-away places. You could also make your way to a US port and then travel from there by ship or boat. Although, in ‘normal’ times, it is possible to arrange to travel by freighter to some places around the world, you can forget any such thing in a crisis. Freighter schedules will be disrupted, the crew will board their own families, and the booking support systems for such services will cease functioning anyway. Plus there aren’t daily departures. You might have to wait 2 – 3 weeks, even assuming that the ship then departing would agree to accommodate you on its sailing. Cruise ships are also unreliable as a way of bugging out somewhere, besides which they don’t really go anywhere very useful. But it might be possible to bug out on your own boat. You’d need to own a big boat for it to be capable of safely carrying out ocean crossings, and you’d ideally need to have three or four or more people traveling with you so as to crew the boat 24/7 while at sea. Plan on a 50 ft or larger motor boat, or a 60 ft or larger yacht as a bare minimum size, and note that it will need to be constructed to oceangoing/passage-making standards, rather than to more common ‘floating gin palace’ standards such as you’ll see in the marinas around the coast. The boat would also have to have the capability to travel many thousands of miles. The longest leg of any typical international journey is about 2500 miles (ie west coast USA to Hawaii); just about all other routes can have you island and coastal hopping in shorter legs. But this requirement to be capable of a 2500 mile voyage assumes resupply and refueling capabilities upon arriving in Hawaii; and for that matter, even the island and coastal hopping routes also assume similar refueling/resupply services at each stop. There will be two negative impacts on your ocean voyaging after an extreme event. The first will be disruptions to normal refueling and resupply capabilities. The second is that lawlessness may see pirates attack your boat. You might have heard about the Somali pirates, but piracy at a low-level, and of smaller private boats rather than large commercial ships is dismayingly common in many other parts of the world as well, including central/south America and much of Asia. Such lawlessness can be expected to massively increase in a Level 2/3 situation. Ideally your boat should be able to travel all the way to your destination without needing to be refueled or resupplied. That probably means using sail power for much of your journey – while wind is free, it is also unreliable and your speed will probably halve, meaning you’ll need more provisions (and possibly more water depending on what water makers your boat has) for the journey. Taking any boat on an ocean-going voyage is a fairly daunting and challenging experience, and sailing requires considerably more skill and experience and the speed you’ll proceed at is of course weather dependent. You might cover less than 50 difficult miles in a day, you might cover 200. So you have to plan for the worst, while hoping for the best. You don’t want to find yourself becalmed in the middle of the ocean with no food and no water. And in a situation where maybe the weather reporting services will be down, you’ll not be able to rely on state of the art assistance for finding the best routes and weather. Oh – you’ll also have to assume that the GPS service is down too. On the other hand, the good news is that a sailing vessel – or at least, its sail based propulsion – is EMP resistant. But remember all the electronic accessories and other devices on the boat and be sure they are protected. Most people will find that choosing an international location for their retreat is not a practical solution. While, on the one hand, it might be the very best theoretical solution in terms of avoiding some types of scenarios that could massively destroy the US while leaving much of the rest of the world unharmed, the practical challenges of bugging out from one’s normal home to one’s international retreat are massive. Most of us will find ourselves with the choice between an international retreat that has associated with it a high risk of not being able to get to it in the event a Level 2/3 situation occurs; or a domestic retreat that while not quite as effective a solution to surviving a Level 2/3 event, is much more readily reached in such a situation. The other choice we may face is between spending our money to build a really good retreat in the US and to create a reliable way of getting there, or to spend much more money to build a retreat offshore somewhere and to drain a lot of our funds into some way of hopefully being able to get there in an emergency. Ideally, for those with no shortage of funds, one should have both domestic and foreign retreats. But if you have to choose between only one of these two options, most people will probably concentrate on doing the best they can with a domestic retreat. ‘A bird in the hand is worth two in the bush’ – or, in our case, a for sure reachable retreat is much more desirable than a retreat which may be impossible to get to. A section of the 4,000 mile border with Canada; much/most of which is wide open to anyone who wishes to walk or drive across. Canada would seem to be an obvious potential bug-out location, particularly for people who already live reasonably close to the border. On the face of it, Canada might be thought to have a lot going for it – apart from some parts of Quebec, English is the primary language, the people are reasonably honest and friendly and more or less like Americans, their standard of living is in line with what we’re used to, we’re familiar with their social structure, and we fit in without having a huge big ‘I’m a Wealthy Foreigner – Take Advantage of Me’ sign invisibly on our foreheads. On the other hand, many of the issues affecting the US and which might cause a societal collapse might spill over into Canada as well. 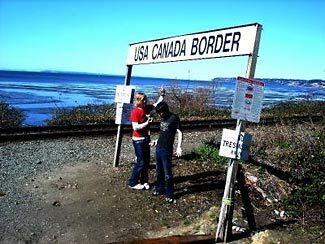 In particular, most of the suitable parts of Canada for people to consider retreating to tend to be close to the US border. If you go much further north, the weather gets increasingly extreme and life is harder and harder to sustain. So any type of regional impacts will spread across the border without being concerned about such artificial things as a change of country on the 49th parallel. EMPs in particular are likely to impact on much of Canada – see the coverage map part-way down our article explaining what EMP is and does. And because many of our major cities are relatively close to the Canadian border, any nuclear attacks on our cities might end up impacting on Canada (although most prevailing winds are likely to take fallout east and south rather than north). Canada also has an overstressed electricity grid, so a solar disruption that destroyed the US grid would probably cause problems to Canada’s grid too. On the other hand, Canada is fortunate to have a surplus of power (and exports electricity to the US) so the loss of generating capability might be less harmful to Canada than to the US. Canada also exports oil and natural gas to the US, so is less dependent on international energy sources – an event that ended international oil shipments wouldn’t necessarily result in Canada being without gasoline and other oil products (although having raw oil is only part of the problem – the other parts being the need for refining capacity and then the need to be able to efficiently distribute/ship the gas, diesel, etc across the country to where it is needed). There are some other considerations too. Canada has a population of 34.5 million people. It has only one ninth as many people as the US. We’re not sure how many refugees from the US it could or would allow in before adopting a ‘managed solution’ to the problem, which would be a polite way of saying they’d close their borders and/or establish refugee camps, but not allow people to simply enter into the mainstream of their society. On the other hand, our northern border is very porous and largely undefended by Canada – most of the border defenses are on our side, not on their side of the border. Even the defenses on our side are largely absent – a Buffalo News story from 2011 reports of a GAO finding that only 32 of the 4,000 miles of border were adequately patrolled and defended. If it seemed Canada was restricting the flow of refugees, it would be far from impossible to slip across the border at a deserted unpatrolled location and to quickly blend into their population. We’ll avoid making a snide remark about how easy it is for Mexicans to do the same thing when entering the US at present, but you can probably guess our thoughts. Assuming you do get to Canada, and assuming you are in a moderately favorable region, you’ll probably find yourself somewhere with a low population density, plenty of water, and reasonably fertile ground. If you’re close to the ocean or a lake/river, you may also have access to fishing, and you may be close to forest lands too. But while the land can be fertile, Canada’s big drawback is its climate, which is why we referred to ‘moderately favorable regions’ in the preceding paragraph. As long as you have access to affordable energy, allowing you the ability to heat your retreat during the sometimes harsh winters, and as long as you are in a place with a sufficiently long growing season as to allow for practical growing of crops, you should be okay, but if you lose your energy (be it electricity, natural gas, propane, gasoline or diesel) then you’re going to have potentially severe problems. Although the climate is harsh, Canada is little affected by severe storms, hurricanes, tornadoes, floods or earthquakes. The country also has few dangerous/poisonous animals. Canada’s government is more ‘socialist’ and participative/interfering in its citizens lives, and – with some notable exceptions – we’ve found that Canadians tend to be more reliant on their government for many/most things than is the case on this side of the border. Life in Canada is subject to more social controls and general government regulation than is life in the more libertarian/conservative US states, and of course, how can we discuss life in Canada without pointing out the draconian restrictions on firearms ownership, which applies with even greater force to foreigners such as ourselves. There are some positive and negative issues associated with bugging out to Canada, but more predominantly negative than positive. Its geographical proximity to the US means that many ‘natural’ type disasters are likely to spill over into Canada, although its considerably different position in the international community means that terrorist/war type actions against the US are less likely to be directed at Canada too, although the effects of EMP type attacks in particular would inevitably spill over into Canada too. The elements of Canadian society that appealed to ‘draft dodgers’ back during the Vietnam war probably have less appeal to preppers. Overall, preppers could expect more government intervention/interference in most aspects of their lives north of the border; and in general terms, they would find themselves in a harsher climate and more dependent on energy to assist in farming and living. If you are considering establishing a retreat in Canada, we’d suggest you think also about having your retreat slightly on the US side of the border rather than slightly on the Canadian side. We can’t see many substantial downsides to being based in the US, and neither can we see many substantial upsides to being based in Canada. Our feeling is also that the cost of living is slightly higher in Canada than in the US – particularly at present with the Canadian dollar being worth about the same as the US dollar – that is why US border states have such excellent business these days from Canadians streaming south for shopping tours to the US. All in all, we can’t recommend Canada as an international bug-out/retreat location. Your foreign language skills – or interpreter – may end up as being literally a life or death choice. In thinking about possible international bug-out locations, an obvious variable is the degree to which a foreign location is filled with English speakers (or not! ), and the degree to which we might already be or could become proficient at the language of the destination we are considering. We in the US are either blessed or cursed by being born speaking English. English is not the most common mother tongue in the world – it is actually the third – Mandarin/Chinese is of course the first, and Spanish is second. After English in third place, there is Hindi (India) and Arabic to round out the top five. But when you factor in the number of people who speak English as a second language, English starts to catch up with Mandarin and may even overtake it. Some studies suggest a total of about 1.15 billion Mandarin speakers (first or second language) and about 1 billion English speakers; we feel this probably understates both languages and the number of people who can speak them to some degree or another. There are over 1.3 billion people in China, and while not all of them speak Mandarin as their first language, many speak it as a second language to some degree or another. And as for the number of people who speak English, that is a very definitional thing. In addition to the mother tongue countries, there is almost all of Europe who speaks it as a second language, then countries like the Philippines where it is an official language, India where it is widespread, and so on around the world. It is easy to add up more than a billion English speakers. There’s another element to the importance of English. While there might be more Chinese speakers in the world as a whole, most of them are in China. But English speakers can be found in just about every country in the world (including an official 10 million in China too, but the generally accepted number of Chinese who either speak it well, poorly, or are currently learning it is believed to be more like 300 million). Although other countries have been keen to have their language become the international ‘lingua franca’ the reality is that English is unassailably the dominant second language that people learn if they want to be most likely to be understood everywhere in the world. The bottom line is that due to the prevalence of English all around the world, we as Americans have seldom felt the need to learn a second or third language, and if we as adults are now to start learning a second language for the first time, we will find it very difficult. Language learning ability is something that drops off steeply as people age, and if you’ve never learned a second language before, you’ll find it difficult to do so as an adult. In other words, we suggest it is very beneficial to consider primarily countries that have a good level of English spoken in them; and/or if not so good, you absolutely must start learning the foreign language now. We’ve found the Pimsleur language tapes and CDs to be the best way for us, but you need to go through all three levels (a total of 90 lessons) to have even a basic level of ability. You might want to try one of the short, sampler versions of a Pimsleur language to see how easy they make it. They are not very expensive (usually under $30) and give you a good feeling for their style of natural learning. Beyond the Pimsleur system, you also need to start reading (and ideally writing) in the foreign language, and also listening to the foreign language and learning to recognize the words as much as possible. There are any number of easy ways to start reading a foreign language – just go to the internet and start browsing websites from the country in question, in their own language, for example. As for listening to the foreign language, we recommend getting DVDs of movies from that country that have subtitles in English. The subtitles won’t necessarily be a perfect one to one translation of what is being said, but it will help you during the course of multiple playings to get the sense of most of the words. It is important to regularly practice your developing language skills so as to shift what you are learning from your short-term memory into your long-term memory. If you don’t do this, you’ll be forgetting stuff as fast as you learn it. Some people recommend a full-immersion approach. Go to the foreign country and just start speaking the language. If you are adventurous and willing to make lots of mistakes, this could work. But we’ve found, when traveling to countries where we speak only a little of the local language that sometimes our language skills drop off while we’re in country! 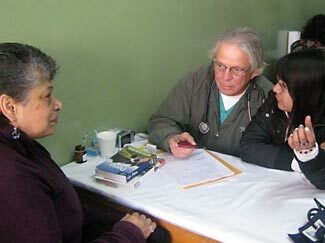 The reason for this unusual outcome is that the locals all want to speak to us in English to practice their English, and when we use their local language, we of course only use the words we know and are comfortable with, and so aren’t really extending or developing our vocabulary and skills at all. Some people also advocate getting a native speaker to help you learn the language. We think this is a bad idea. The reason we make this unintuitive comment is because native speakers of a language have never formally been taught how to speak the language – they’ve just grown up, learning the language ‘organically’. So when it comes to teaching someone how to speak, they have no experience in learning the language the way we would learn it, and so can’t do as effective a job at helping us learn it other than as an infant. It is better to have a professional teacher, whether they be a native speaker or not, teach you. The key thing is to find a person skilled in the methodology of teaching the language – this is more important than a person who is 100% fluent. Some languages are easier or harder to learn than others – if you have a choice of where you go, you would be well advised to give preference to countries with easier to learn languages. Here are some of the issues to consider in judging if a language is easy or hard. Are we stating the obvious by pointing out that not all other languages use the same 26 letters that we do? The good news of course is with languages that use fewer than our 26, and it is also acceptable for languages that add a few accents over some selected letters. At least if the basic letters are the same, they are familiar and easy for us to instantly recognize, even if we have to give them different sounds. But how about languages with totally different letters? Not just ones which look the same, albeit slightly different (ie Greek and Russian) but ones which look totally utterly different such as Arabic and Hindi? Languages that go from right to left, or vertically, rather than from left to right? That makes things much harder to learn. Furthermore, when we learn one word, we get clues from the word as to what other similar words might mean, because they have the same ‘root’ components. For example, in English, if you know the word ‘build’ you can maybe guess at the word ‘builder’ or ‘building’. It is the same sort of concept in most other languages too. Once you know some words, you can guess at the meaning of other words. But wait – there’s more. At least most other foreign languages use the same concept as we do with English – they use words which are made up of letters, just different shaped letters. How about languages such as Japanese and Chinese that instead use a different character for each word? Instead of learning just a foreign alphabet of 20 – 40 letters and how to pronounce their words based on the letters contained within them, you need to learn thousands of different pictures, one for each word, and you have no real clue from the picture as to the word’s meaning or its pronunciation. That massively complicates the learning process. In some respects (but not all!) English is easy for non-English speakers to learn, perhaps because it has been formed, over the years, from a combination of many elements of many other languages, becoming a sort of ‘lowest common denominator’ for many of them. It seems the more that a language ‘evolves’ the simpler, rather than the more complicated, it becomes. As a result, English no longer has some of the more complicated aspects of grammar and syntax which other languages still have. For example, our nouns do not have a sense of gender, unlike almost all other languages. In most other languages, all nouns have a gender – for example, the word for building might be a masculine word, but the word for garage might be feminine. There is no consistency or easy way of guessing whether a word should be male or female. It is necessary to match the gender of the noun to related adjectives and verbs. To make things more complex, some languages have three genders – masculine, feminine and neuter. You are familiar with the concept of singular and plural, but some languages have two forms of plural – one form for a few more than one, and a second form for many more than a few. Then there is the concept of tenses. In this respect, English is actually more complicated than many other languages, with many different tenses, but the concept of tenses in other languages is something to be wrestled with as it is not always intuitive or structured the same as in English. A much bigger deal though is the concept of the ‘sense’ of a noun. At least with tenses, we understand the difference between the past and future tense, a perfect or an imperfect tense. But our nouns are usually unchanging, no matter how they are used in a sentence. We build the meaning of a sentence based on the word order. For example, the two clauses ‘John shot Bill’ and ‘Bill shot John’ clearly mean very different things, and we know who was shot based on the order of the words. If we want to say the name of the person shot first, and the name of the shooter second, we have to add extra words – ‘John shot Bill’ and ‘John was shot by Bill’ give us the two meanings without changing the names of the two people. But most other languages are less focused on the order of the words, and instead add different endings to the nouns to indicate their role. For example, the ending ‘-a’ might mean ‘this is the person who is doing something’ and the ending ‘-en’ might mean ‘this is the person who had something done to them. So, in that case, you could say ‘Johna shot Billen’ and ‘Johnen shot Billa’ and you know in each case who did the shooting and who was shot, by the endings rather than by the word order. The example we just gave is a very simple example. There can be as many as six different senses for nouns (well, actually, some languages such as Finnish have a dozen or more! ), and different endings not only for each different sense (they are officially known as ‘cases’) but also for if the noun is masculine, feminine, or neuter, and also for if it is singular, slightly plural, or very plural. How many different possible endings is that for a noun? The answer is ‘Way too many’ and with us not having an instinctive sense of such things, it can get terribly confusing. Oh – if you do end up needing to wrestle with cases and noun endings, here’s a trick. Speak the first part of the noun clearly, and then just mutter the ending. Many native speakers will automatically ‘hear’ what you said as if you said it correctly. And, in using this trick, you’ll be doing the same thing that many of the locals do, too – even they often have difficulty with matching endings and cases for nouns. There are two elements to pronunciation. The first is whether the foreign language uses similar sounds in similar ways to English or not. Many do, but some are very different. Some languages place great importance on the stress in each word, others less so. And some languages not only have basic pronunciation issues, but also pitch issues too – rising tones, falling tones, steady tones, and so on (eg Mandarin). Clearly, the easier a language is in its sounds to English, the easier it will be to speak it clearly and be understood by the locals. The other element of pronunciation is whether you can guess at how a word is pronounced by simply seeing it written down. Some languages are excellent at being ‘self pronouncing’ and you can usually work out how to say the word simply by seeing it written. This is actually one of the huge problems for people learning English – due to the mixed roots of English, there is no rhyme nor reason to how English words are pronounced, with the much-loved example being the made up word ‘ghoti’ – how would you pronounce that word? There are of course lots of answers, but the one which confounds people is when you say ‘Well, actually, you could also pronounce it as “fish”‘! A self pronouncing language is much easier to learn. These days there are amazingly clever translation programs, available either as computer programs or as internet based applications (most notably Google Translate) that will translate not just single words but entire sentences and paragraphs and complete documents from one of many different languages and to another of many different languages. But as good as these programs and automatic ‘machine translators’ are, they are far from perfect, and while much of what they translate reads clearly and appropriately, if you start to use special terms, words, and phrases, they may colossally fail. If you are translating from a foreign language to your own language, you’ll usually notice the failures when they occur, but if you are translating in the opposite direction, you’ll have no idea if what you are ending up with is sensible or nonsense. Furthermore, these programs increasingly rely on the internet and distributed/cloud computing. In an EOTWAWKI scenario, such resources will probably be absent – and might not be available to you while on the street in a foreign city, even now. These services can help, but they will not make you self-sufficient. They might help with emergencies and when you have time to read and write replies, but they are no good for interactive conversations, real-time, face to face. As you may have realized from your own possible impressions in the past when reacting to a foreigner who can’t speak English here, when a person is confronted with someone who doesn’t know the local language, there is more a feeling of alienation and a temptation to view the person as stupid, just because they can’t speak the language well, rather than a feeling of sympathy and support and admiration for the fact they can at least speak a few words of English. Assuming such people are stupid is almost always a very incorrect assumption to make, but human nature being what it is, you would suffer it yourself if you went somewhere where you were not able to speak the language well. Furthermore, it is not only harder to integrate into a foreign culture and society without speaking their language, but by not so integrating, you stamp yourself as ‘one of them’ rather than ‘one of us’, causing you to be much more the focus of exploitation and rip-off schemes. The more disadvantaged the country to start with, the more you will be spotted as a target for exploitation. If you can at least speak the local language, you’ll neutralize some of that prejudice/opportunism, and you’ll also be better keyed in to what is happening around you. It has happened to us – particularly in the US but also in other countries, where people within earshot assume we’d not understand what they are saying (in some foreign language), and so they have spoken about us, in front of us, and it has amused us greatly to understand what they are saying. Whether or not we choose to reveal our comprehension depends on the situation – sometimes it can be good to pretend to be ignorant. There are also safety and related issues. For example, if you are about to take a train from one station to the other, and hear an announcement over the PA system but don’t understand what it said, and then notice people starting to leave the platform, you wonder ‘Was that announcement telling us the train would be delayed, or cancelled, or shifted to another platform, or that there’s a bomb scare, or what???’. Such puzzlements and frustrations happen a dozen times every day when you’re in a foreign country and not speaking its language. You are also reliant on translators/interpreters to help you in your business and life interactions. Quite apart from the cost of hiring such people, it is a difficult situation to be in – on the one hand, your ability to understand nuances and to finesse negotiations will be totally destroyed and lacking, and on the other hand, you may find that ‘your’ interpreter gangs up on you and allies him/herself with the other side in negotiations. From our own experiences traveling, doing business, and living in very foreign countries where English is little spoken, we’ve sometimes found ourselves trapped with interpreters that would do the classic thing of first the other person would speak for several minutes in the foreign language, then the interpreter would briefly chat with them in the foreign language, then after all of that, the interpreter would say to us a single sentence. What was everything else the other person said? We had no way of knowing. Knowing that we were getting a very filtered and summary-only version of what the other person was telling us would be a great frustration. What happened to our eloquence, our flowery statements, and everything else? All thrown out the window by a lazy interpreter. Or else, we’ve had interpreters who were almost impossible for us to understand. We couldn’t tell if the other person was saying ‘Yes, I love your deal’ to us or ‘No, I’m insulted by your low-ball offer’. Truly. We went through several negotiations with no idea if we were agreeing or disagreeing, and what it was we were or were not reaching agreement about. The next problem is when the person you are wanting to negotiate with says to your interpreter, in their shared native language ‘Look, you and I are both (whatever nationality); we need to help ourselves. That guy is a wealthy American, help me to get a good deal from him’. And before you know where you are, the interpreter is actually working for the other person rather than for you, either out of a sense of national solidarity, or to protect their future opportunities translating for the company, or as a result of an out-and-out bribe. As well as passing on your official comments, the interpreter will also be saying things like ‘I think he is prepared to pay more’ or whatever other helpful information they can. We’ve also had interpreters who have simply refused to pass on our comments to the person we wanted them passed to. When we have wanted to express something in strong terms, as one equal to the other, the interpreter, as a socially ‘inferior’ person, has not felt able to say the things to the other person that we wanted them to say on our behalf, because it might appear disrespectful. So we might say ‘That is a ridiculous low offer, and outrageously unfair terms. Unless you’re prepared to double your offer and give us a 50% deposit right now and the balance before we deliver, we’re ending the negotiation’. The interpreter would say ‘My client appreciates your kind offer but wonders if you could slightly increase it and make a small deposit before my client ships you the goods’. By the interpreter being submissive, you are judged to be weak and submissive too. Which leads to a very important point. You will be judged by your interpreter. An incompetent interpreter, a poorly dressed one, or an interpreter with ‘image problems’ of any other sort will result in the other person attaching similar attributes to you, too. This Wikipedia page lists countries by the percentage and total number of English speakers. We feel that in almost every case, their figures understate the level of English that is spoken – in part because the growth of English as a second language is increasing and these numbers are often five or even ten years out of date. A lot has happened in that time (ie the growth of the internet where English still dominates). So the information is pessimistic rather than optimistic. On the other hand, you should also appreciate that within any given country, there are huge shifts in where and how common English-speaking ability is. Typically the larger and more prosperous cities will have many more English speakers than the smaller and less prosperous country towns. A country that boasts a 50% English-speaking rate might have 65% in its big cities but only 10% in its villages. And/or it might have 90% of its school children speaking English, but only 10% of the adults you’ll be dealing with who can speak it. Or possibly the level of English fluency to qualify as an English speaker might be very lax – you’ll find people who ostensibly can speak English, but who you can’t understand and who can’t understand you. There’s another consideration to also keep in mind. If a massive societal breakdown occurs in the US and possibly elsewhere in the predominantly English-speaking world, English might lose its primacy of place as the global language. For countries that don’t yet have a clear commitment to supporting English as a second language, English could very quickly be discarded, and you might find yourself in a country that abandons English and instead turns to some other language more representative of the changed geo-political nature of the world in a Level 3 situation; or a country which simply becomes much more inward looking and gives up on all foreign language learning entirely. Similar things have happened to us, for that matter, too. Second language choices go in and out of fashion. For a while, it was common to learn French, or German, or Russian, or Japanese. Nowadays, it is more common to learn Spanish or Chinese. Maybe in a decade, Arabic and Indian (Hindi) will be the new dominant languages – not just for us in the US, but for other people in other countries too. Assuming you don’t already speak the native language, we suggest that the higher the incidence of English being spoken, the more suitable a foreign country may be as an international bug-out. Not only is it much easier for you in such a case, but the greater the level of English that is spoken, then – as a very rough approximation – the more outward looking the society and the more ‘connected’ it is to the world in general and the less out of place you’ll seem. However, you should also consider this as a first step only. For true integration into another country and acceptance by its citizens, and to be able to live effectively and comfortably, it is essential that you learn the local language as quickly as possible. There is another dimension to foreign languages. Some are easier to learn than others. If you are moving somewhere foreign, consider also how difficult it will be for you to learn the local language, because no matter how high the level of English may be that is spoken there, the better you can integrate yourself into the local society (ie by speaking their language) the more the local society will accept you as a member, and change from looking at you as a foreigner to be exploited and instead looking upon you protectively as ‘one of them’, if not by birth, at least by adoption. International migration is a long accepted concept. Could it be an option for you too WTSHTF? When we are considering a retreat location, we are typically looking for somewhere that isn’t too impossibly distant from where we normally live. There are obvious reasons why this makes sense, but there’s also one obvious drawback : Whatever the event was that caused a collapse of society at our normal residence will probably be affecting our retreat as well. So while our retreat gets us away from a dangerous and unlivable urban environment, and hopefully to somewhere where we can set about creating a low-tech sustainable self-contained lifestyle indefinitely into the future, we’re not actually escaping the loss of the previous benefits of civilization and returning to somewhere with water and electricity that works, and food that appears in the supermarkets every day. Almost by definition, any event which causes a major collapse of society and its services in our region and which requires us to bug out, will be an event that is national in scope. Regional disasters, like Hurricane Katrina for example, or a massive earthquake or whatever else, are quickly responded to by FEMA and volunteer organizations, and while there might be some lawlessness and unpleasantness for a short while, everyone knows that ‘the cavalry are coming’ and help will soon be at hand. The rule of law will largely be intact and still observed by most ‘ordinary’ people. But with a cataclysmic event, the country as a whole will be affected. A multi-warhead nuclear exchange with another major nuclear power, an EMP attack, a collapse of our electricity grid (whether from ‘natural causes’ such as the sun or from terrorists) or a cyber attack destroying most of the nation’s control systems would be examples of this type of event. However, most of these types of events, while affecting the US, are not global in scale. Of course some could be global. All out nuclear war might cause massive climate change, destroying the world’s ability to grow sufficient food for several seasons; similarly an asteroid strike could also modify the weather for some time into the future. A nuclear exchange could see both the US ravaged, and other parts of the world too as we strike back, and as the aggressor nation takes out our allies as well as ourselves. A major pandemic is likely to affect the entire world. But while some events could be global in scale, many others might be ‘only’ regional, leaving much of the world untouched and unscathed. In such cases, wouldn’t it be nice to be able to simply leave the affected region and move to somewhere unaffected by the problems we were leaving behind, and resume a reasonably normal and comfortable lifestyle, complete with flush toilets, television, and all the other fruits of modern civilization? An option to bug out to another country accordingly has a lot going for it – at least on the face of it. But, in reality, it may not be as easy as we’d hope if the time should come. Considering the comments in the preceding several paragraphs, it should already be clear to you that while there may be some scenarios where it makes good sense to relocate internationally (if at all possible) there are also many other scenarios where such a move would simply be a transition from the frying pan to the fire. There are also many scenarios where your attempts to extract yourself from your current location and travel to a far away destination may not be feasible. So, in case it isn’t already obvious, our point is simply this : Relocating internationally should not be your only developed option for responding to a Level 2/3 crisis. It should be a supplemental option, developed only after you already have a closer retreat created and able to support you if needed. 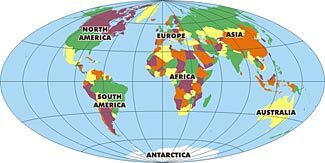 Please visit other parts of our series on international bugging out (currently being developed) for further articles on specific countries to potentially bug out to, and the considerations and constraints you would face when considering an international bug-out strategy.